Along a 2-mile stretch of Hawaii's most pristine white sand beaches, Beach Villas at Ko Olina blends panoramic oceans views with an opulent vacation experience. With accommodations that feature elegant, spacious villa suites affording plenty of room to live, dine, and define Hawaiian luxury. All villa suites feature an abundance of amenities including signature kitchens designed by renowned Master Chef Roy Yamaguchi. 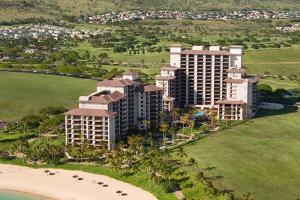 Just twenty minutes from fabled Pearl Harbor, and only 30 minutes from the Honolulu International Airport. Waikiki Zoo, Hawaiian Waterfall Hiking Adventure, Off Road Hummer Tours, Hanauma Bay, Sea Life Park, Waikele Premium Outlets.